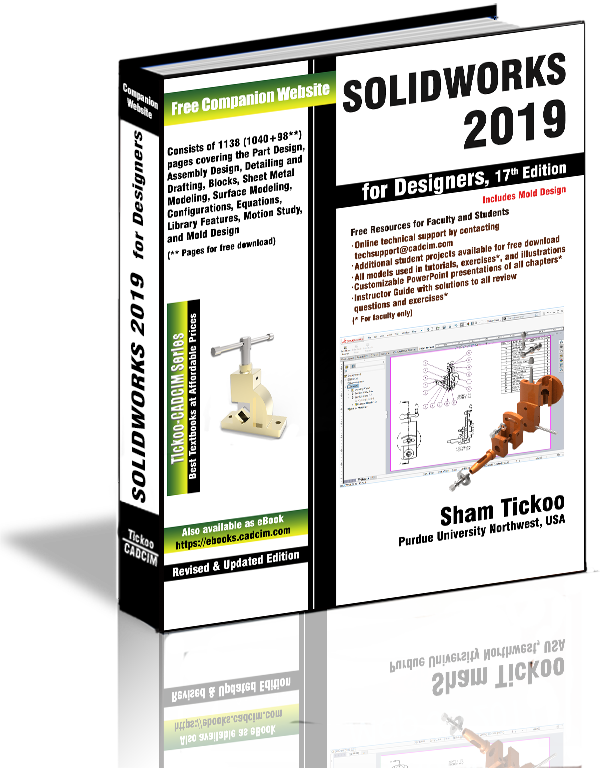 SOLIDWORKS 2019 for Designers book is written to help the readers effectively use the modeling and assembly tools by utilizing the parametric and feature based approach of SOLIDWORKS 2019. 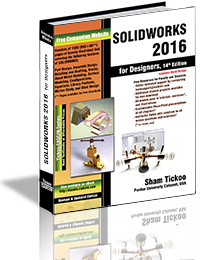 This book provides detailed description of the tools that are commonly used in modeling, assembly, and sheet metal as well as in surfacing. 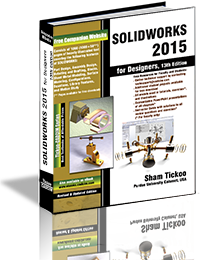 The SOLIDWORKS 2019 for Designers book further elaborates on the procedure of generating the drawings of a model or assembly, which are used for documentation of a model or assembly. Special emphasis has been laid on the explanation of the concepts, which have been described in detail using text as well as graphical examples, wherever required. 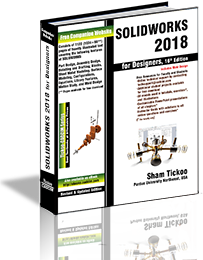 The examples and tutorials used in this book ensure that the users can relate the information provided in this textbook with the practical industry designs. Consists of 21 chapters that are organized in a pedagogical sequence. Tutorial approach to explain the concepts of SOLIDWORS 2019. 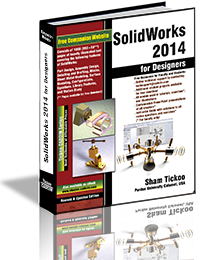 Hundreds of illustrations and a comprehensive coverage of SOLIDWORKS 2019 concepts and techniques. 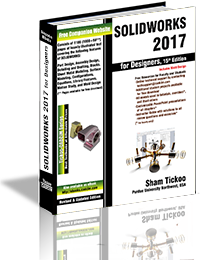 Detailed explanation of SOLIDWORKS 2019 tools. Step-by-step instructions to guide the users through the learning process. Real-world mechanical engineering designs as tutorials and projects. Additional information throughout the book in the form of notes and tips. Self-Evaluation Tests and Review Questions at the end of the chapters so that the users can assess their knowledge. Technical support by contacting techsupport@cadcim.com. Additional learning resources at https://allaboutcadcam.blogspot.com.